I wish I had a great story to share with you about these cookies, but sadly, I don’t. It was a minute of inspiration, caused by the can of pumpkin sitting on my pantry shelf. I wanted to make pumpkin cookies, but most of the recipes I found were more to the cakey side. I wanted cookies with a chocolate chip cookie type texture, and struck gold with this recipe. Then, I couldn’t help throwing in some butterscotch chips, y’know, for some more awesomeness. The pumpkin flavor of these cookies is subtle, but it’s definitely there. Add the cinnamon and butterscotch and you have the perfect fall cookie. Don’t have butterscotch chips handy? 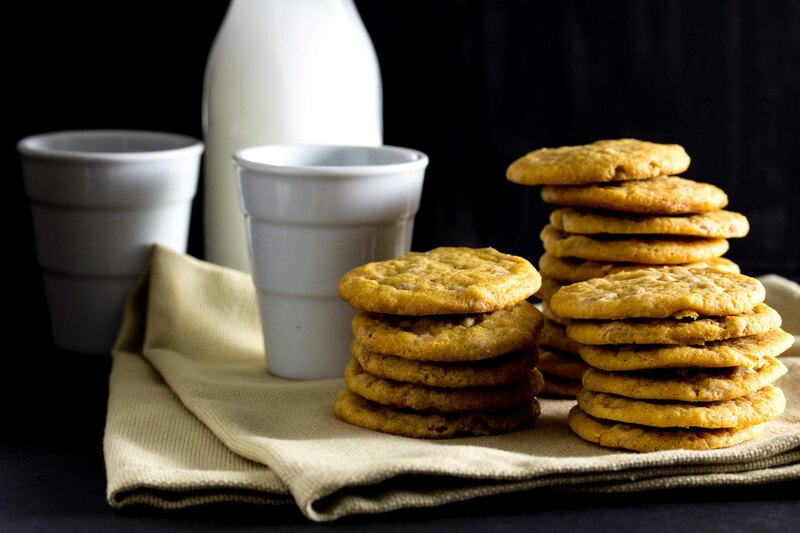 Sub chocolate chips instead for a delicious pumpkin chocolate chip cookie recipe. Either way, make these cookies. You’re going to love them! In the bowl of an electric mixer, beat together the butter/margarine and sugars until smooth and creamy. Add the vanilla, baking soda and cinnamon. Beat to combine. Add the egg and pumpkin puree and beat until smooth. Add the flour and cornstarch and beat on low until combined. Stir in the butterscotch chips. Scoop the dough onto the prepared cookie sheets using a small cookie scoop or by 2 teaspoon scoops. Bake at 350 for 10 minutes. Remove from oven and set aside to cool. pumpkin…butterscotch…cookies? oh my gosh. i think i can smell their heavenly odor through the internet. i gotta make these bad boys. Cool idea – they sound really delicious! Yum! I love pumpkin and I absolutely love butterscotch. Awesome recipe! 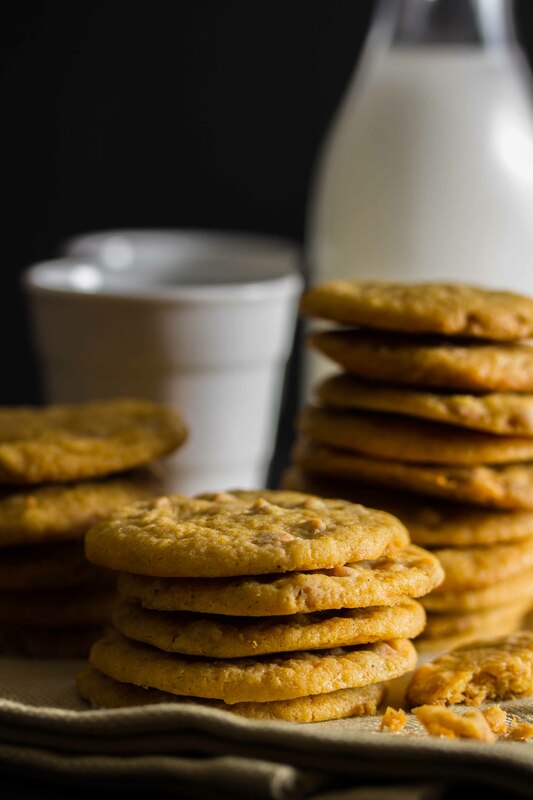 I made butterscotch cookies once (sans pumpkin) and my son-in-law was crazy about them. I would think that with the added pumpkin and spices these are even more delicious. This looks amazing! Love your stuff, follow you on Pinterest! Yum! I think I’ll skip the chips, though – both kinds. Sure! Should be fine as long as the texture is basically the same. #handsdown the best Cookies I have ever had!! I need more of this ASAP!! They look great but I’ve never seen a tin of pumpkin in Ireland any suggestions for what I could substitute please? 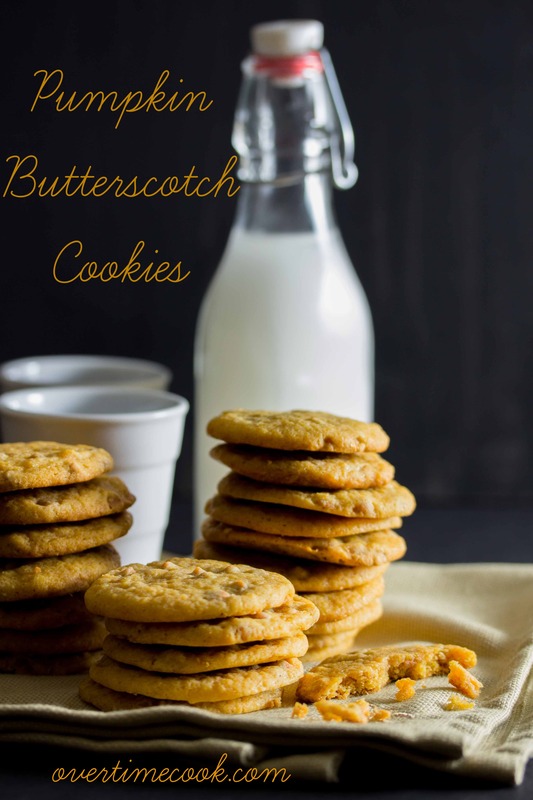 I love butterscotch cookies and never thought of pairing it with pumpkin! Nice time of year to try it! Sounds yummy! Mmmm…pumpkin and butterscotch sound perfect together. Plus I’m glad you created a non-cakey cookie. Cakey’s the worst, lol. The woman behind me in the grocery store checkout yesterday told me about these cookies. If I had more time, I would have gone right back into the store to buy the ingredients. I can’t wait to try them. Could they be made as cookie bars? I make these and substitute cinnamon and white chocolate chips for the butterscotch. They are to die for! !